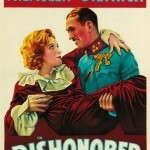 One of Marlene Dietrich’s lesser-known movies, Dishonored (1931) surprised me when I watched it. 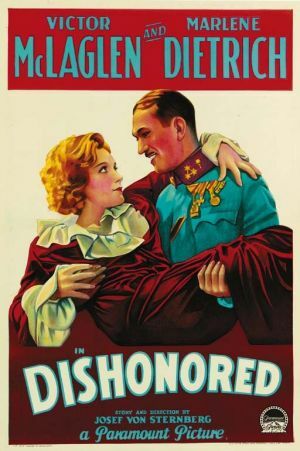 Having chosen Dishonored because it is one of the few WWI movies to adopt the perspective of one of the Central Powers, I admit that I expected a film filled with stiff performances and stilted dialogue. I was wrong. Set in the Austro-Hungarian Empire in 1915, the film opens with the suicide of a woman who had been forced to turn to prostitution after the death of her husband in WWI. Sadly, she is only the most recent in a string of suicides. When gossipy neighbors comment that Marie Kolverer (Marlene Dietrich) will be next, she replies that she loves life too much, which attracts the attention of a stranger, who proves to be the head of the Austrian secret service. 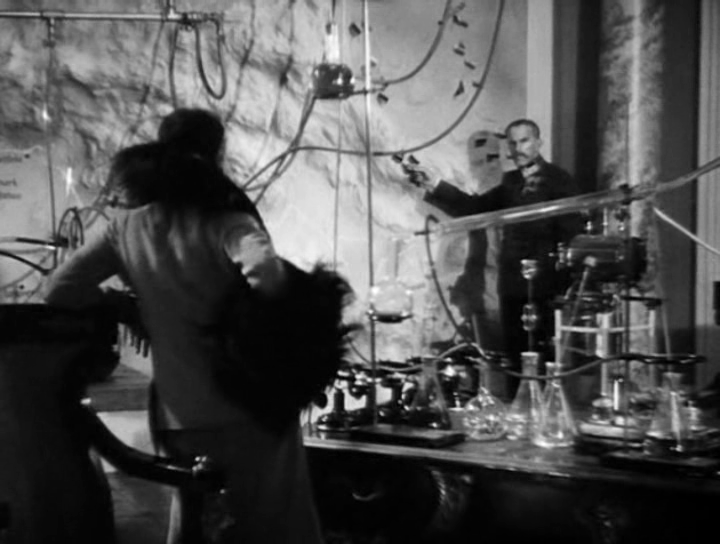 Inviting her to his headquarters/mad scientist lair, he explains that Austria is surrounded by enemies, and has suffered a number of defeats, which can only be explained by treachery. 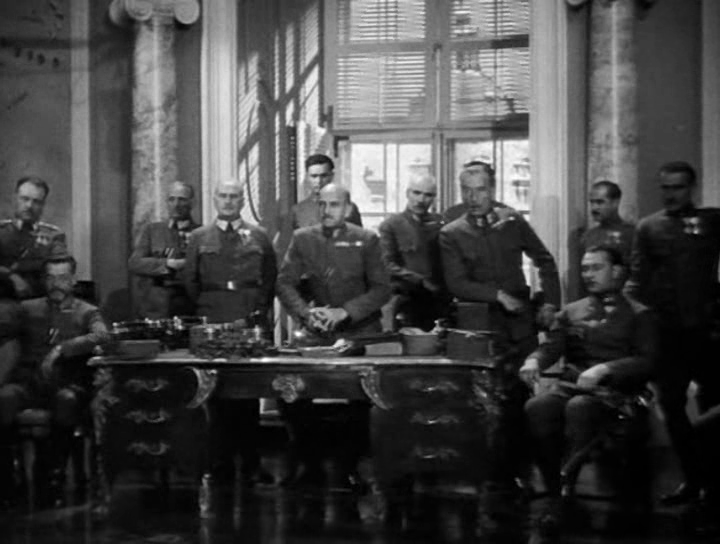 While it is true that the empire was in a difficult situation, fighting Russia and Serbia in the east, and Italy in the south, its recent defeats had more to do with horribly incompetent leadership than espionage, but the script is not concerned with historical accuracy. Offering Kolverer a job as a spy, he warns her that she will be despised by society, which does not faze her, since she was selling her body to feed herself when she was given the opportunity to switch career tracks. 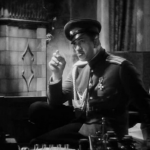 Assigned the codename X-27, she quickly seduces her first target at a masquerade ball, meets his contact, Russian Colonel Kranau (Victor McLaglen) and figures out how the two men exchanged information. An attempt to capture Kranau fails, but X-27 is given an opportunity to redeem herself when she is flown across enemy lines to a hotel that serves as Russian HQ in the area. 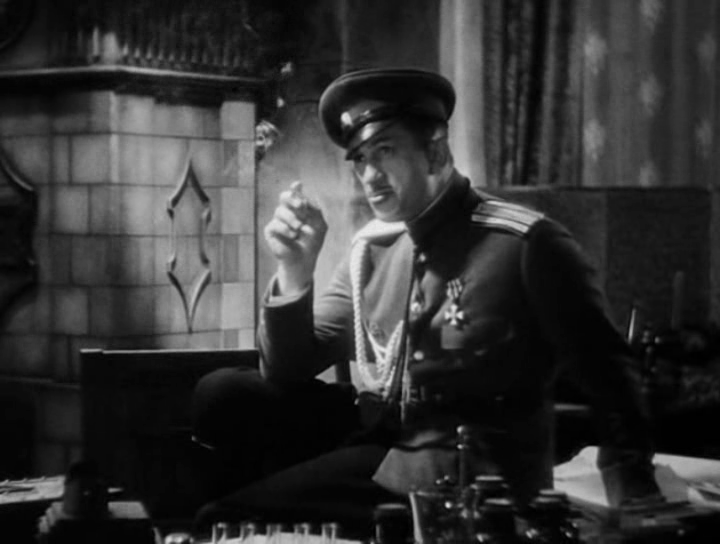 Posing as a Russian serving girl, she attracts the attention of a general, and gets him drunk to obtain the plan for the next offensive, but Kranau catches her trying to leave. While patriotism drives X-27 to risks her life, her opposite number admits that he is a thrill-seeker. 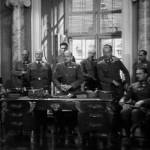 When she is captured, Colonel Kranau nervously arranges himself as he waits for her to be brought to his office, reinforcing the image that the war is simply a game for him. Giving in to his desire for a night of pleasure before she is placed in front of a firing squad, he is outwitted, and X-27 escapes. Returning to her own side of the lines, X-27’s information ensures an Austrian victory, and Kranau is captured. While the colonel was willing to see her executed in the morning, as long as they could have a night of physical delight first, X-27 proves to have deeper feelings, and arranges for him to escape. As a result, she ends up facing a room full of generals who do not understand love, so she has to suffer the consequences of her actions. 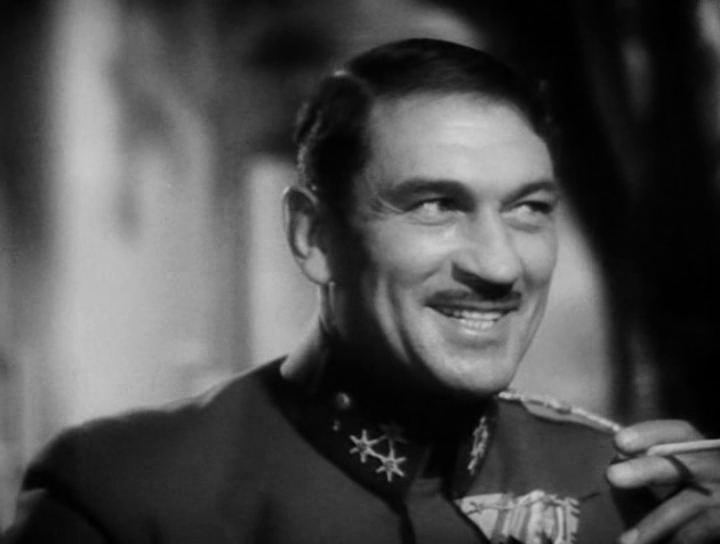 Having grown up watching Victor McLaglen play stocky, gruff cavalry sergeants who are fond of whiskey in John Ford’s westerns, it was a bit of a shock to see him as a dashing lead. McLaglen seemed less comfortable with sound than Dietrich, since he was constantly sneering, like a cartoon villain. Although it is a sound film, I would be hard-pressed to find more than a handful of times where Dietrich actually says an entire sentence. However, instead of the wooden performance that I had expected, she is captivating. Director Josef von Sternberg had already made two movies with Dietrich, and would make three more, so he knew how to make Dietrich come alive on screen. Women had only received the right to vote a decade earlier in the United States, and the feminist movement was decades in the future, but Dishonored was a trailblazer. Instead of thanking her or even hinting that their opinion of women has risen due to her achievements, which had saved the lives of thousands of soldiers, Kolverer’s superiors are ungrateful. After escaping from Russia, X-27 races to decipher her code, which was a piece of music, while the generals stand around, as if resenting their dependence on a woman. When the colonel escapes her first trap, the head of the secret service tells X-27 that she should have known better than to match wits with a man, implying that her only ability was to seduce men, rather than beat them. This contempt plays to her advantage, since men are constantly underestimating her. The generals’ contempt is returned by Kolverer. Learning of her fate, she asks for the clothes that she wore when she served the soldiers, rather than the gowns that she wore when she served the empire. Many of the WWI movies made in the early 1930s have tragic endings. Hell’s Angels (1930), The Eagle and the Hawk (1933), Dishonored, The Road to Glory (1936), and The Dawn Patrol (1930) all share a similar bleakness, as if the war was so horrible that no one could be expected to survive it, and might actually crave death to forget what they had seen. I first watched Dishonored after sitting through several big-budget blockbusters that seemed to be designed as tests for future roller-coaster rides, so I really appreciated the movie’s slow pace. 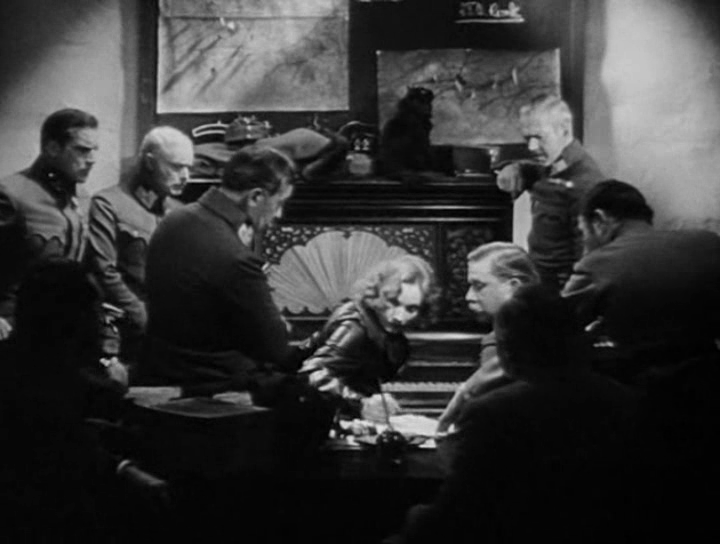 However, the true surprise was Dietrich’s character, a woman who routinely outsmarts men and has a stronger moral character, willing to risk her life for her country and to die for love. 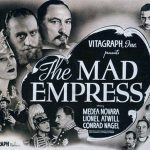 This is my entry for the WWI in Classic Film Blogathon hosted by Movies, Silently and Silent-ology. 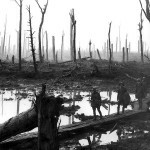 Please visit the hosts’ pages to check out other reviews on classic films that deal with WWI. Thanks so much for joining in! Marlene Dietrich and Victor McLaglen… now there is an unexpected romantic combo if there ever was one. Dietrich is always a marvel. I will have to check this one out soon. Thanks for organizing the blogathon. I have not seen many of Dietrich’s films, but she certainly was marvelous here. I saw this a couple of weeks ago and thought it wasn’t quite as good as the other von Sternberg films starring Dietrich – must agree with you that McLaglen seems odd casting as the dashing lead – but Dietrich herself is fantastic, as usual. 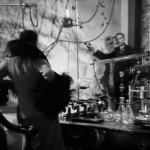 You make some good points here about the film’s pioneering nature – enjoyed reading your piece! Thanks, I am happy that you found it interesting. I was really surprised by the feminist aspect of the script, it really was ahead of its time. I’ve got to see if I have this one. 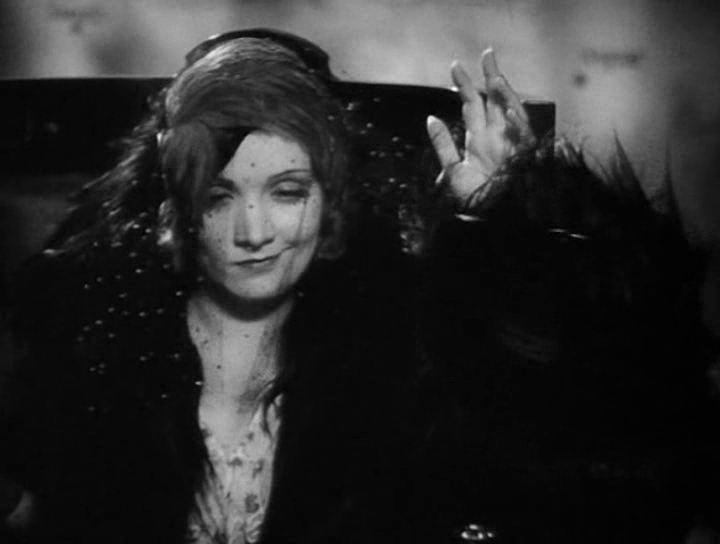 It’s the one von Sternberg-Dietrich I haven’t seen and that’s been more oversight than anything else. Not a huge McLaglen fan, but he seems to do his best work with strong directors. Thanks for covering it and reminding me to seek it out! Glad you enjoyed the review and hope that you like the movie. 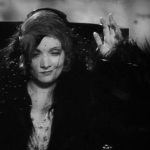 McLaglen’s performance slows down the story but Dietrich is superb. Interesting. I was not aware of this film. Will try to get to it. I am not a big Dietrich fan, so I am leery about it but you make it sound pretty good. It was definitely better than I expected. To be honest, the movie revolves around Dietrich, so if you don’t like her, you probably won’t like the movie. It is definitely a memorable film, although parts of it were a bit slow for me. 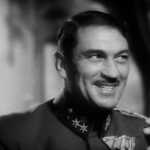 Dietrich’s performance made it worthwhile, but the bizarre experience of seeing Victor McLaglen as a romantic lead was simply icing on the cake. I haven’t seen this one, but it is nice to hear that some movie took the Austro-Hungarian point of view. Have you read Jaroslav Hašek’s novel The Good Soldier Schweik? It is the only novel I have read from that point of view. Thank you for sharing with us all. I have not read the book, but you are right, the Austro-Hungarian perspective has been ignored by Hollywood and even in the print world, well at least the English-language print world. Glad you found the review interesting. "Why is Cinco de Mayo a holiday?" Or how has Hollywood treated the Franco-Mexican War? How has Hollywood treated Abraham Lincoln? How has Hollywood treated Franklin Delano Roosevelt (FDR)? How has Hollywood treated the Korean War? How has Hollywood treated the War of 1812? Poll: Johnny Depp as Tonto in The Lone Ranger-misunderstood artist or racist superstar?